Thursday, Oct. 29, 4:00 p.m., AMC Northbrook Court. Friday, Nov. 6, 11:00 a.m., AMC Northbrook Court. 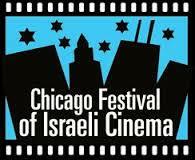 Sunday, Nov. 15, 1:00 p.m., Marcus Chicago Heights Cinema. 65 minutes. 2011. Director: Tali Goldberg. In Hebrew with English subtitles. Lia Van Leer (1925-2015) was an Israeli icon, widely credited with establishing the Israeli film industry and nurturing the creative talent enjoyed today by Israeli and international audiences. A must-see for anyone interested in the evolution of Israeli cinema and culture, the film demonstrates Lia’s tremendous passion, vision and accomplishments through her final days—from hosting Haifa salons with her husband Wim in the early 1950s, to establishing Israel’s film archive, to building the Jerusalem Cinematheque and founding the Jerusalem Film Festival. Our special screenings pay tribute to this woman to whom all Israeli filmmakers and film festivals, including the Chicago Festival of Israeli Cinema, are forever indebted. Lia Van Leer served as a member of the Cannes film festival jury in 1983 and was president of the Berlin Film Festival jury in 1995. In 2004 she was awarded her country’s highest honor, the Israel Prize. The Polgar Variant Is That You?